Food is one of my closest friends. It’s way up there with sleep and my cat. Today I was with some friends that I like a little less than the previously stated nouns and we chit chatted about what food we would eat if we could only eat one food for lunch every day for the rest of our lives. I’ve compiled a list of not necessarily my favorite foods, but the foods that I could consume for my midday meal and not hate my life. 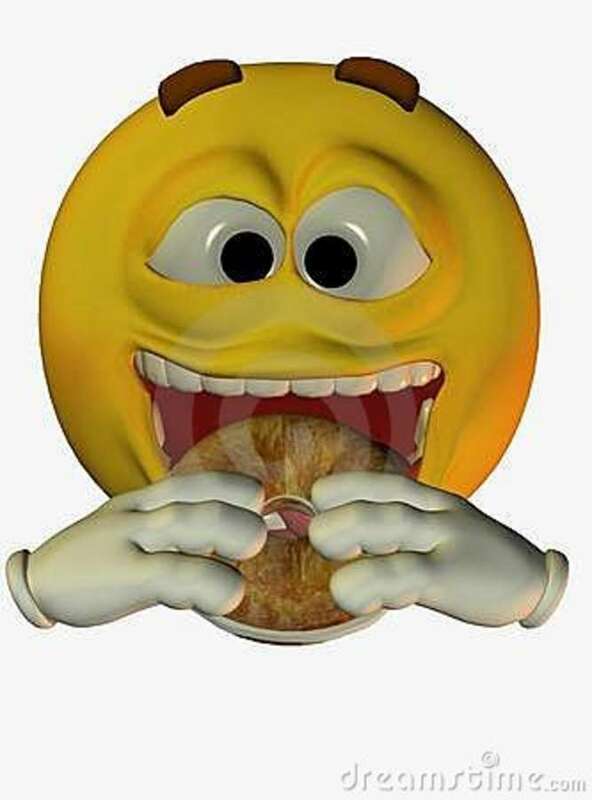 Shown above is a picture of me eating my bagel for lunch today. Don’t quote me on this, but I’m pretty sure bagels were formed into those circles of pure carbohydrate by God himself. There are so many options when it comes to bagels: the type of bagel, flavors of cream cheese, meats, eggs, butter, the list goes on and on. The bagel is a clear choice not only because of its versatility, but also because of its filling nature and satisfying textures and tastes. Eating a bagel for lunch every day wouldn’t even feel like you were eating the same thing because you’re really just eating a little piece of heaven. One of the original questions inquired among my friends was if you could choose one restaurant, which would it be. My clear answer was Taco Bell. This fast food chain has always held a special place in my heart. Once my dad, brothers, and I ate at Taco Bell five nights in a row because my mom was out of town. They were the best five consecutive dinners of my life so far. My order for many years now has been a number nine combo with no nacho cheese and a crunchy taco, and this is for a good reason. 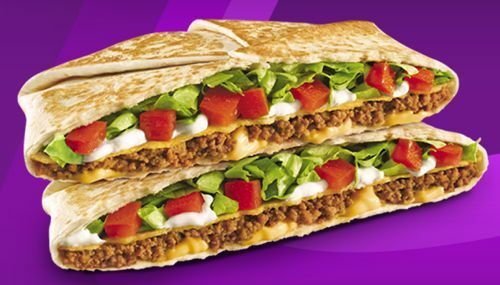 The crunchwrap encompasses all of the fantastic qualities of Taco Bell into one compact and semi-portable delicacy. With the crunch of the taco, the low grade meat that only TB can supply, the crisp veggies that make you wonder how they stay so crisp, and the sour cream that they shoot out of a gun-like machine, the crunchwrap is incomparable and a clear option for every one of my future lunches. I’d prefer this ring to an engagement ring. One time I was talking to my mother in the car while she was planning a small get together for our family. 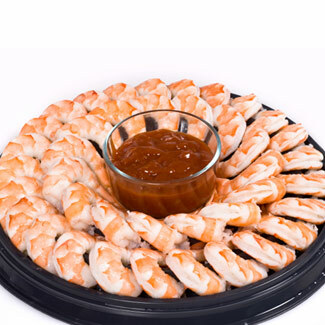 We were brainstorming food ideas and my wonderful mother mentioned shrimp cocktail. I instantly replied with, “I f***ing love shrimp cocktail.” I had never said this word in front of my mother and I even caught myself off guard, but my subconscious felt this was the only way to efficiently covey how I feel about shrimp cocktail. I f***ing love it. The man in the polo is so pleased. 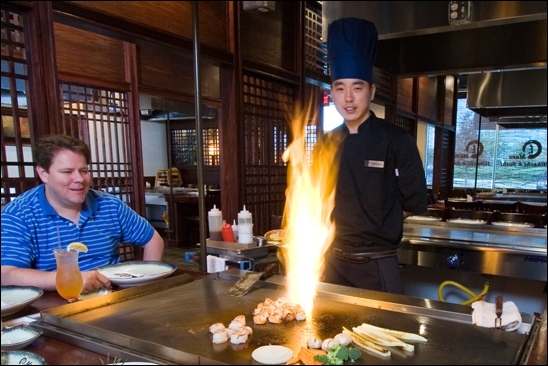 Hibachi is an experience like no other. Although fairly expensive, the fire volcano (as displayed above) is always thrilling and the free saké doesn’t hurt. Unless it gets in your eyes, which I’ve personally experience and it’s actually quite painful. I also enjoy the variety of the foods and the steak is always delicious. Plus, this option would make me incredibly skilled at catching rice in my mouth. This could potentially be a crazy long paragraph if I went into all the separate pieces that are included in the hibachi meal, but I will stop here. I understand that this combination meal might be kind of cheating, but it’s my list and I can cry if I want to. 5. 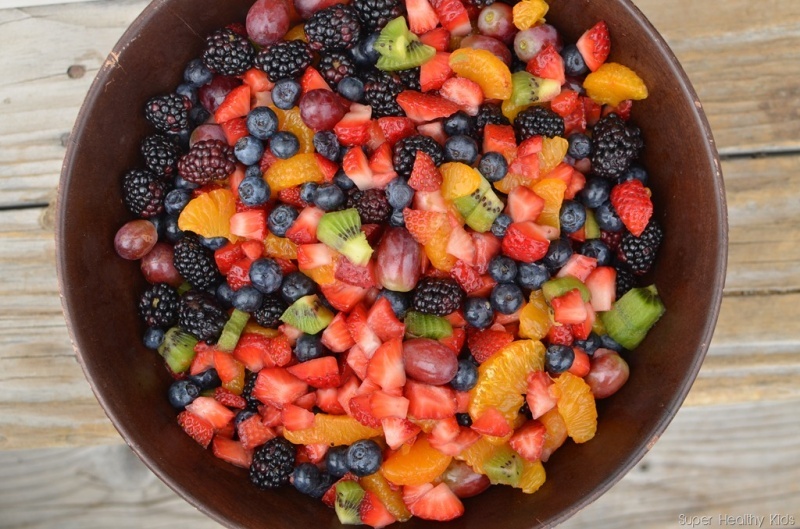 Fruit Salad made of Peaches/Nectarines, Strawberries, Blueberries, Blackberries, Mandarin Oranges, Red Grapes, and Bananas. I’m actually amazed by this fruit salad picture I found because it’s astoundingly similar to the fruit salad I pictured in my head. Take out the kiwis and add some bananas and we’re all set to eat lunch forever. Fruit salad is one of those thing that can be either so good or so bad. I’m personally not a melon fan and I hate the texture that apples get when they’ve been in a fruit salad for longer than five minutes. However, fruit is one of my favorite foods and this is a healthier option than some of the previously stated items on this list. I would also probably need a bean-shaped pool of this to be full, bean-shaped because they don’t pressure you to swim laps at any point. They’re made entirely for leisure. My kind of pool. Thus, in the unlikely chance that I am somehow forced to eat the same food every day for lunch for the rest of my life, these are my choices. Feel free to share your “forever lunches” with me, and I will gladly argue about why my choices are the best ones.